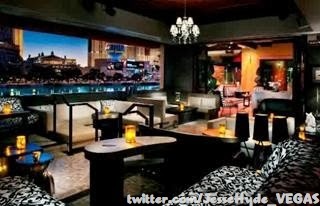 This week’s winner is @JesseHyde_Vegas for a sweet picture of the inside of Hyde @Bellagio. This picture not only showcases the interior design of the club but what a unique setting it is in. You are able to see out to the patio overlooking the Fountains of Bellagio as well as the Paris balloon across the street at night. Several pictures from Hyde’s patio have been up for Twitpic of the week but I really enjoyed that this one gives you the inside out look. If I wasn’t interested in checking Hyde out before, I am now. Riviera’s "Dinner and a Dream"